The digital shower is a new bathing experience and a ground breaking alternative to electric, mixer and power showers. Digital showers are both user & eco-friendly thanks to the abundance of functionality and settings. Settings on a digital shower are designed to be customised. This will allow the user to select their preferred optimal shower experience from the pressure and temperature, right through to the water output. Digital showers typically sport a minimal design aesthetic and make a space saving, stylish addition to any bathroom suite. Electric showers offer hot water on demand. They work by channelling cold water from the mains into the unit, which is then heated by an element within. As well as having instant hot water one of the biggest advantages of an electric shower is that it isn’t affected if you have any issues with your boiler, therefore you still have streams of flowing hot water all the time. Most modern electric shower units offer thermostatic control. This means that the temperature can be adjusted according to your shower preference. A mixer shower as the name suggests mixes hot and cold water together. This mixture occurs in the shower valve where the temperature is regulated and compensations are then made for any drops in pressure, which may result in the loss of either hot or cold water when a tap is turned on in another part of the house. 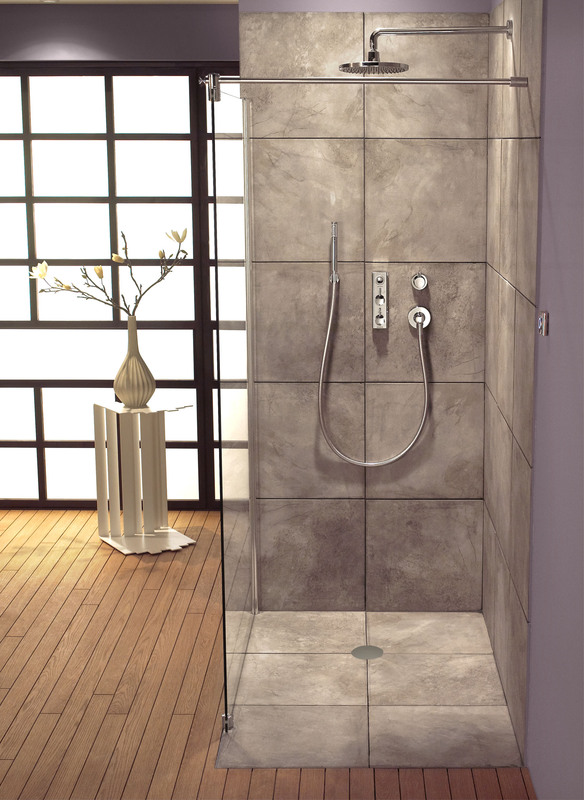 Mixer showers are a contemporary showering solution with a vast range of designs available which are slotted easily into most styles of bathroom or shower rooms. They are compatible with low and high pressure water systems meaning they’re suitable for use in most properties. Power Showers are great for the circulation and offer an invigorating wakeup call. They can be used in homes that have low pressure as the shower system includes a pump to boost water flow. Power showers can offer feature massage systems which can invigorate sore muscles while giving a truly relaxing experience. The only drawback to a power shower is that they are not considered as environmentally friendly as some alternatives, due to their typical energy and water consumption levels. 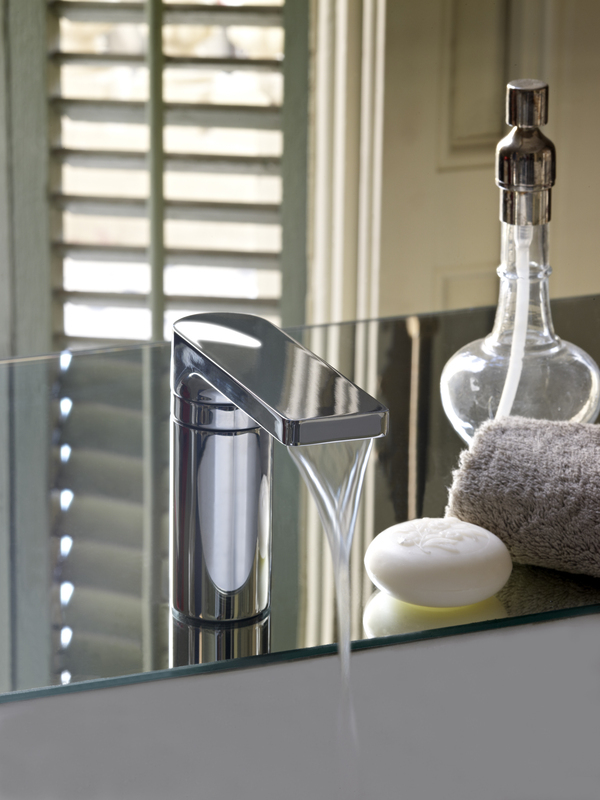 Deck mounted taps are attached to the bath or basin using tap holes that have been drilled into the rim. They are the most common type of taps because they offer the easiest access for plumbing to lead the water into the tub or basin. Wall mounted taps do what the name suggests. They are mounted to the wall and reach out to fill the bath tub or basin. This style tends to be more contemporary and are easy to clean but harder to repair as all the plumbing is hidden in the wall. Floor mounted taps are the latest development for bath taps and instead of hiding any pipes or plumbing they are exposed from the floor up to the tub. There are no restrictions on where to place the bath tub in the bathroom as long as the plumbing can be redirected to that area. 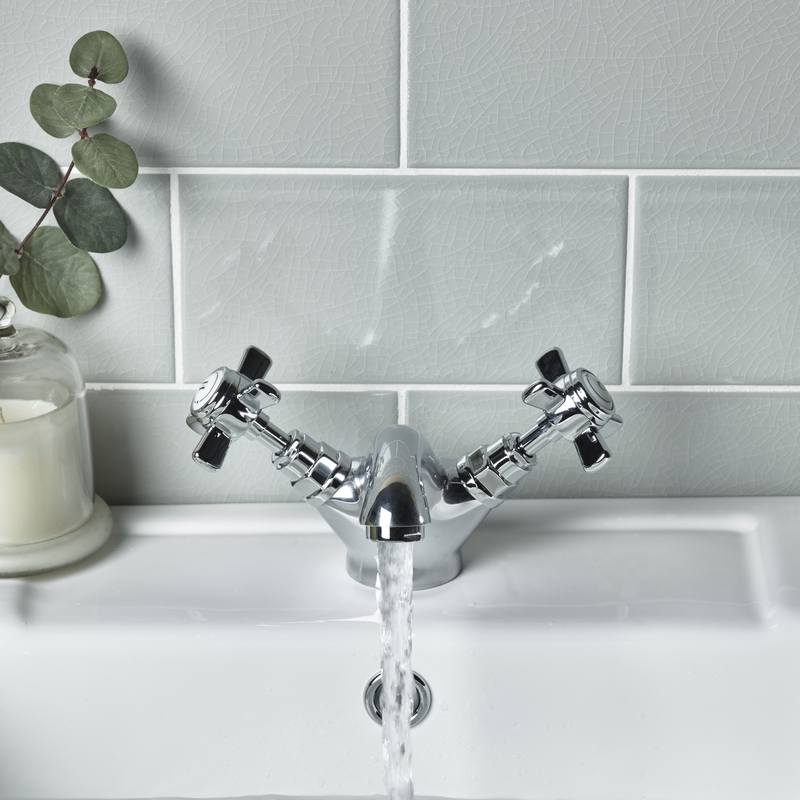 Mixer taps have been popular over the years (sometimes known as monobloc taps) as they only use one tap hole. They mix the hot and cold water together just as it leaves the faucet, giving you an even temperature before it reaches the tub or basin. This means that the risk of running scolding or freezing water is greatly reduced. 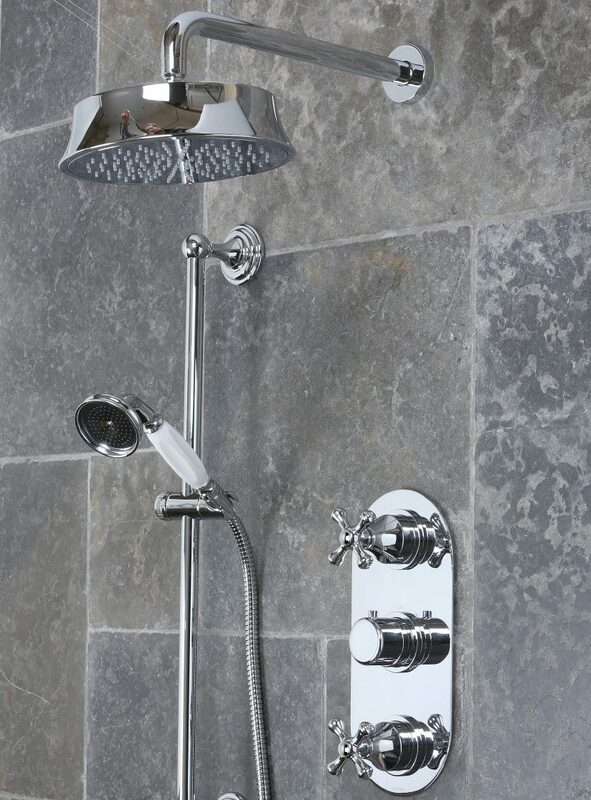 Bath/Shower (only) taps are a mixture a bath fillers and a hand held shower head that stretches from the tap which allows you to use it independently. They are useful for having an all in one tap that can both fill your bath and wash your body all over as a shower. Pillar taps are possibly the most common style of tap. They are individual taps that have their own valves to control the flow of water and fit into bath and basins that have two tap holes (hot & cold). Filler taps a very similar to mixer taps as they also mix both hot and cold water before leaving the faucet. They generally incorporate two handles or levers to control flow and temperature, which is ideal for finding the perfect temperature of water when filling the tub or basin. 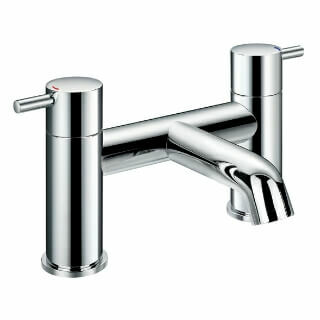 Another advantage of this tap is that they do not need a high water pressure to be used.